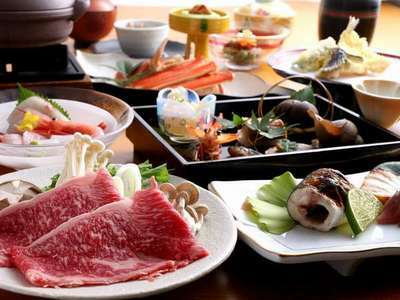 Traditional multi-course Japanese meal with high class premium Tajima beef Shabu-shabu. The chef's 10 original daily special dishes from appetizer and Sashimi to dessert will be served with reasonable price. Free shuttle service are provided. Be sure you have a free onsen pass with you for hot spring houses.